Fundraising campaigns are especially successful during the contemplative Christmas season. The cold season seems to make many people want to be more helpful and generous. For many companies and non-profit organisations, this is one of the most important times of the year to raise awareness for their charitable projects and issues. 1. As an NGO or non-profit organisation, you want to collect donations for your own purposes and projects. 2. Companies want to use their brand awareness to draw attention to charitable projects by third-party organisations. 3. Private persons want to do something good and support a specific charitable project by asking their friends to donate. That's why Facebook has recognised the trend towards digital donations and crowdfunding. The amount of donations is increasing, especially for humanitarian purposes. Donations to support the environment, animals, arts and culture saw the largest increase in contributions. How can NGOs, charitable organisations, and companies profit from this Facebook feature? With the help of the following tips, you can put the finishing touches to your appeal for donations via social media. 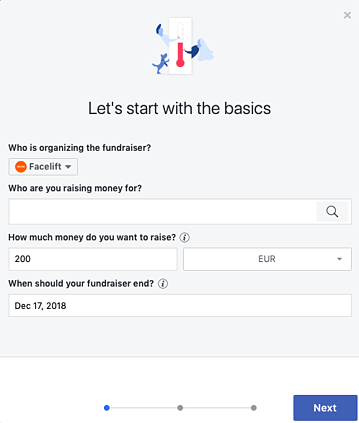 In order to create your own fundraising campaign on Facebook, you first have to register as a charitable organisation on the platform. Only then is your fundraiser listed in an overview and can be selected and supported by other companies or private individuals. In addition, signing up for Facebook Payments is required so that the donations can be processed directly. 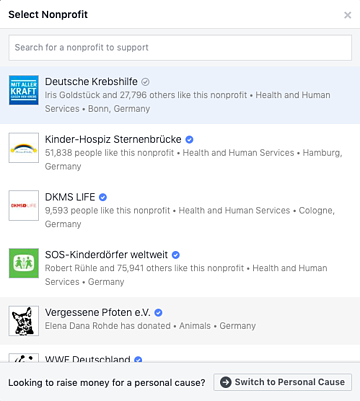 For non-profits, the next step is clear: Placing the "Donate" button in the header of your Facebook page. 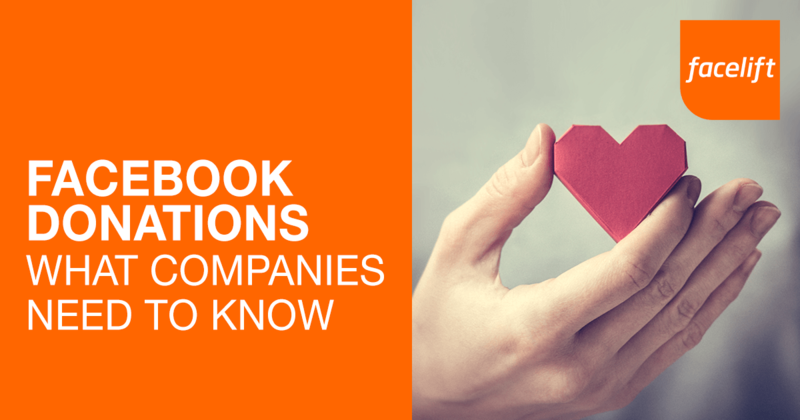 If you want to support the fundraising campaigns of non-profit organisations on Facebook as a company, you have a number of options. For one, you can create a "fundraiser" item via the admin feature in the left navigation bar of your Facebook page. In addition, the donation button is also available for your Facebook postings (photos, videos) or live streams. This should be especially interesting if you want to get involved in working towards certain non-profit goals and campaigns in the name of your own company and would like to inspire your own fans to do the same. What’s key here: Corporate responsibility! The good news: Facebook allows users to make their donations directly: So your fans do not have to leave Facebook and can utilise an optimal mobile tool for doing good. Alternatively, you can connect the donation button in the header of your Facebook page to your own website, if you already have a (non-Facebook) donation page set up and thus increase your own website traffic. Do good and talk about it. Let your fans and customers know about the purpose of your fundraising efforts. If possible, provide insight into the charitable work, e.g. through photos and videos or live streams on site. That's the only way your potential donors can get a better sense of what your fundraiser is about. In order to increase your reach, you should also draw attention to your fundraiser on other networks. Post and celebrate your donation milestones. Has a certain intermediate level been reached? What have the donations already been used for? How and where exactly are the donations being used? Remaining credible requires a lot of transparency. Social media management tools like Facelift Cloud can help you publicise your posts and achievements across multiple social channels at once to save time. In addition, you can collect all questions and comments about your fundraiser in one central inbox. Do the name of social networks justice and connect with strategic partners, testimonials, and other companies interested in your fundraiser. You can also directly ask fans and customers to initiate a private fundraiser and thus start a small contest according to the motto: "Every contribution counts!" With 32 million monthly active users, Facebook is still the top dog among all social media channels. Nowhere else can you reach so many potential fans and donors. In addition, they do not even have to leave the platform when using the Facebook donation tools. From PayPal to credit card payments, Facebook offers all of the popular payment methods that have long established among users, for example. 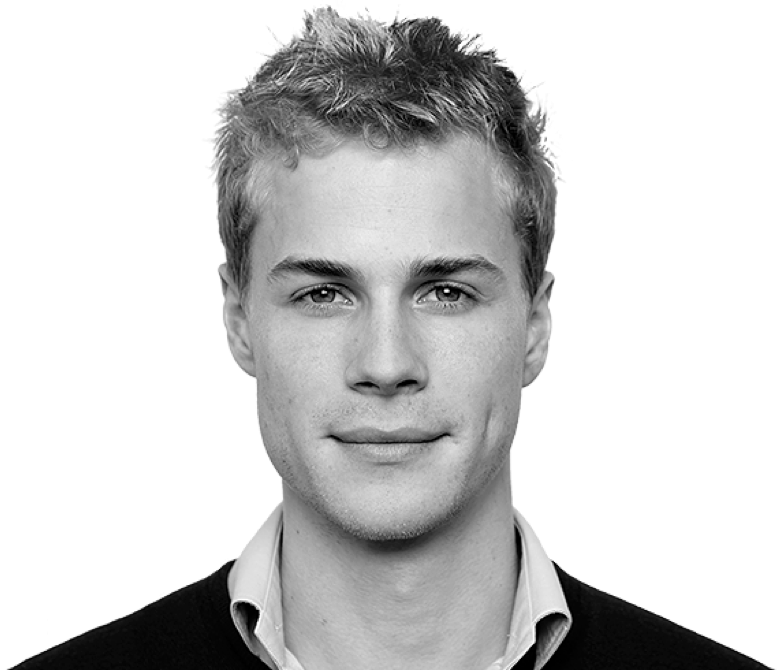 However, the most important pro is that Facebook does not charge any feesfor collecting donations for NGOs, thus making it an attractive tool that uses the original idea of a social network. The donations generated by means of Facebook payments can be broken down into an exact daily transaction report. The Page Insights also show which posts and content are getting a lot of likes, shares, and comments, when your fans are active, and when you could achieve even more reach through Facebook Ads. All of these are important insights that will help you to more precisely target your fundraising activities for maximum success. If you adhere to these pillars of Facebook fundraising, you can make another corporate responsibility contribution with your company and, together with partners and the help of the largest social media platform, Facebook, successfully reach and market your donation goals.